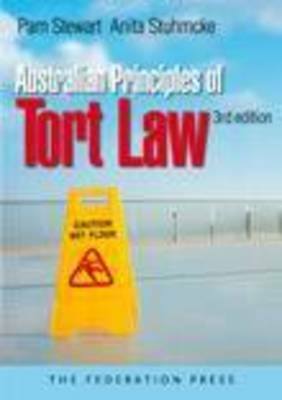 Now in its third edition Australian Principles of Tort Law continues to provide currency, depth of analysis, and clear instruction as to how to approach this challenging area of law. 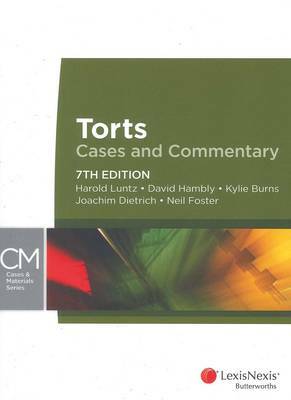 This edition incorporates the latest materials and includes observations as to the scope and content of the growing body of legal interpretation of the tort law reform legislation across all jurisdictions, as courts throughout Australia interpret and apply the challenging legislative provisions. Stewart and Stuhmcke succeed in clarifying a conceptually difficult area of law across all Australian jurisdictions. They discuss an excellent range of cases (geographical and hierarchical), explain the relevance and applicability of the tort law reform legislation, and detail the impact and importance of the 'Ipp Report'.